Conrad Waters, author, Seaforth World Naval Review 2012; review of Andrew S. Erickson, Lyle J. Goldstein, and Carnes Lord, eds., China Goes to Sea: Maritime Transformation in Comparative Historical Perspective (Annapolis, MD: Naval Institute Press, July 2009) in “Naval Books of the Year,” John Jordan and Stephen Dent, eds., Warship 2011 (Annapolis, MD: Naval Institute Press, June 2011), 184-85. 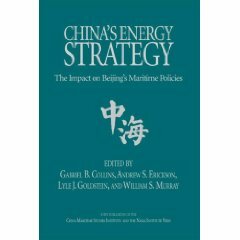 The third in a series of books studying Chinese maritime development, China Goes to Sea comprises a series of essays which aims to place the current prospects for the maritime expansion of Asia’s leading continental power in a broader context. Largely the work of a group of leading naval academics, its scholarly, closely-formatted text, dense notes and limited visual distractions suggest that it is not a book to be embarked upon by the faint-hearted or casual reader. 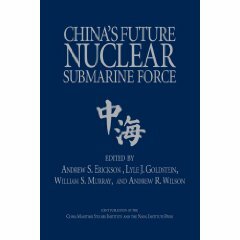 Equally, however, the breadth and quality of the various contributions mean that it has relevance to a much more extensive readership than the dedicated follower of Chinese naval strategy. 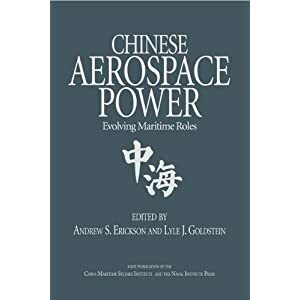 The wide-ranging nature of the collection of studies set out in China Goes to Sea means that it can sometimes be quite difficult to draw direct parallels between the situations they describe and the recent growth of China’s sea-power. This is particularly the case with some of the comparative historical studies, which often leave it to the reader to draw inferences as to their relevance to twenty-first century Chinese maritime strategy. However, many strands are drawn together in Carnes Lord’s concluding chapter. 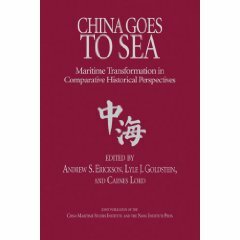 This provides both a clear summing up of the many hurdles land-based powers face when they embark on a maritime transformation, and a well-reasoned assessment of the point China has reached in its own voyage to the sea. His final conclusion that China has achieved a remarkable historical feat in achieving a genuine maritime transformation seems somewhat premature given a situation that continues to evolve. However, what does seem clear is that China’s turn towards the sea will be one of the more significant influences on the history of the current century.